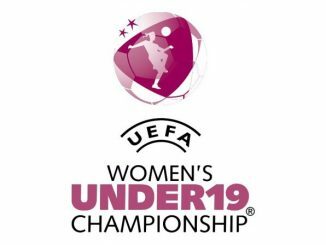 A powerhouse first half performance set England up for a victory that puts them on the brink of qualification for the Euro Under-19 finals REPORTS TONY LEIGHTON. All four goals arrived before the interval, Jess Naz scoring twice and one apiece coming from Ella Rutherford and Aimee Palmer. If Rehanne Skinner’s team now beat Italy in their final group game on Tuesday they will be Scotland-bound for July’s eight-nation finals. Coach Skinner said: “We won’t get ahead of ourselves by thinking about the finals, but I was delighted with today’s performance. “The first half couldn’t have gone any better, we moved the ball very quickly and scored some excellent goals. “In the second half we were a bit slower moving the ball and that put a bit of pressure on us, but Sweden had to come at us so that was expected. England started superbly, Tottenham Hotspur striker Naz cutting in from the left to fire an 18-yard drive into the top corner of the net after just three minutes. The score was doubled when Naz crossed for Bristol City midfielder Rutherford to sweep in a 22 nd minute 12-yard shot. Naz bagged her second goal in the 33 rd minute, beautifully curling a 20-yard shot just under the crossbar. Two minutes later the Spurs striker, causing panic in the Sweden defence, was upended by defender Josefin Harrysson six yards from goal. Palmer’s resultant penalty was saved by goalkeeper Moa Edrud – but the Manchester United midfielder made amends by smashing home the rebound. 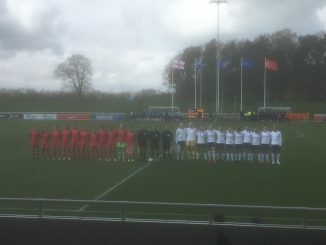 England continued to press after the break and almost increased their lead when Liverpool midfielder Amy Rodgers drilled an 18-yard shot just over the bar. Swedish substitute Kajsa Lang almost handed the Lionesses a fifth goal in the 71 st minute, mis-hitting an intended clearance against the bar. But 30 seconds later at the other end sub Beata Olsson’s header bounced off the post to drop into the arms of Birmingham City goalkeeper Hannah Hampton. That was a lucky let-off for Skinner’s team, and two minutes from time Olsson forced Hampton into a fine save from a powerful 20-yard shot. The Swedes were much better throughout the second half than they had been before the interval, but they never looked like salvaging the game. 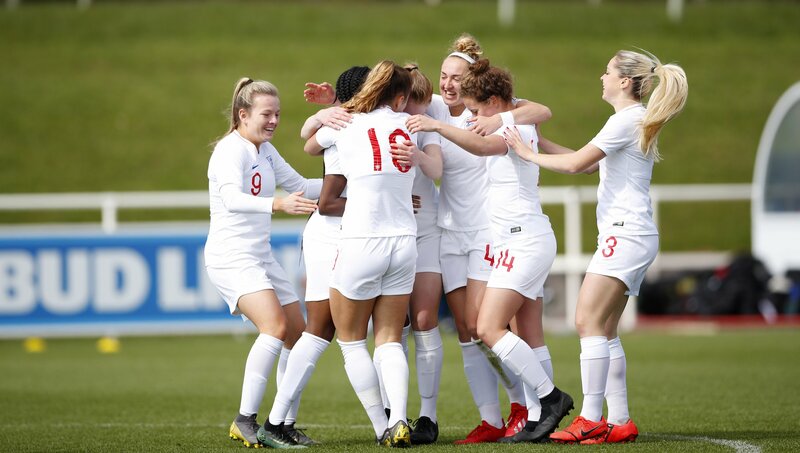 The final score meant England, following their 7-0 trouncing of Turkey, had scored 11 goals without reply from their first two games of the tournament. 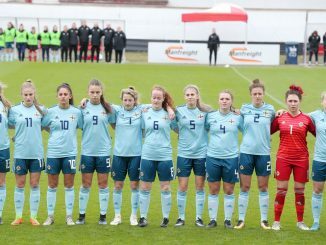 Now comes the crunch game against Italy and Skinner said: “Hopefully we can produce a performance like today’s first half but keep it going for 90 minutes. “It’s going to be a tough test. Italy are a strong, physical side and they’ll give us some real challenges on Tuesday. 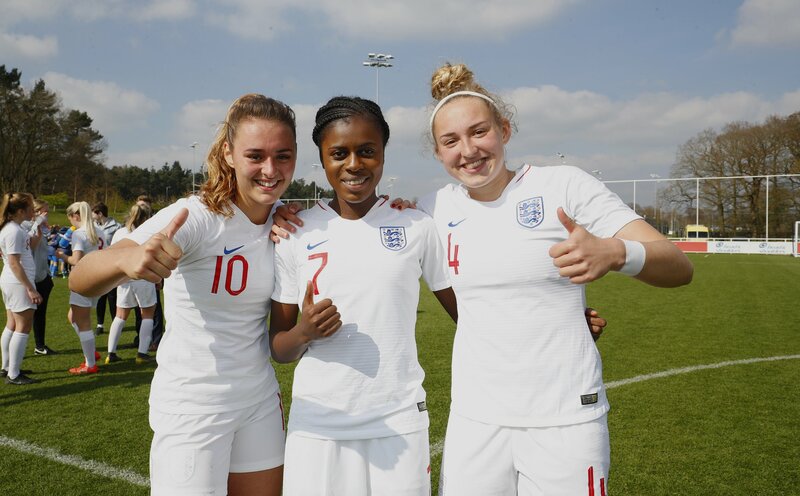 England (4-2-3-1): Hampton (Birmingham City); Neville (Millwall Lionesses) (sub Smith (University of Oklahoma) 85), Morgan (Manchester City), Eaton Collins (University of Florida), Pattinson (Bristol City); Palmer (Manchester United) (sub Lauren James (Manchester United) 68), Rodgers (Liverpool); Hemp (Manchester City), Syme (Yeovil Town); Rutherford (Bristol City); Naz (Tottenham Hotspur) (sub Salmon (Sheffield United, on loan from Manchester United) 57). Sweden (4-3-3): Edrud; Harding, Jontoft, Bogren, Harryson (Lang 55); Kingwall (Welin 68), Nyberg, Wanglund (Vickius 79); Kapocs, Nystrom (Olsson 55), Thornkvist (Johansson 55).